Spread pizza sauce evenly onto crust, leaving a 1" border around outer edge. 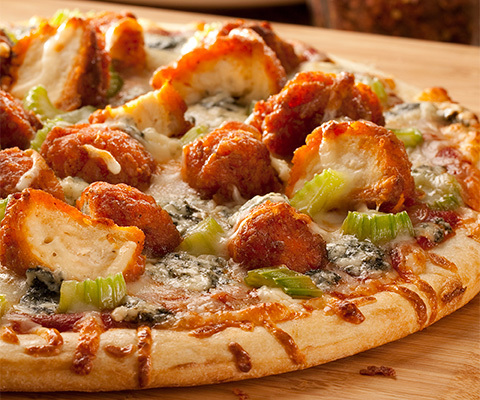 Top with celery, buffalo chicken pieces, and cheeses. Bake at 450°F for 10-12 minutes. Drizzle desired amount of favorite hot sauce on pizza to taste. This is a pizza that is tasty to the tenth degree! I'm a basil lover and it goes so well with this flavorful combo. that I switch out celery for fresh torn basil.